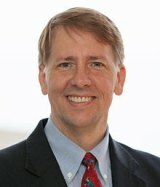 The Consumer Financial Protection Bureau (CFPB) and Department of Justice (DOJ) on Friday, Dec. 20, 2013 ordered Ally Financial Inc. and Ally Bank (Ally) to pay $80 million in damages to harmed African-American, Hispanic, and Asian and Pacific Islander borrowers and $18 million in penalties. The CFPB and DOJ determined that more than 235,000 minority borrowers paid higher interest rates for their auto loans between April 2011 and December 2013 because of Ally’s discriminatory pricing system. Today’s orders represent the federal government’s largest auto loan discrimination settlement in history. Auto loans are the third-largest source of outstanding household debt in the United States, after mortgages and student loans. When consumers finance automobile purchases from an auto dealership, the dealer often facilitates indirect financing through a third-party lender like Ally. Ally is one of the largest indirect auto lenders in the United States. As an indirect auto lender, Ally sets a risk-based interest rate, or “buy rate,” and then allows auto dealers to charge a higher interest rate when they finalize the deal with the consumer. This is typically called “dealer markup.” Ally then shares some or all of the revenue from that increased interest rate with the dealer. Markups can generate compensation for dealers while giving them the discretion to charge consumers different rates regardless of consumer creditworthiness. Today’s enforcement action is the result of a CFPB examination that began in September 2012. That examination evaluated Ally’s indirect auto lending program for compliance with the Equal Credit Opportunity Act (ECOA). The ECOA prohibits creditors from discriminating against loan applicants in credit transactions on the basis of characteristics such as race and national origin. The CFPB and DOJ’s coordinated investigation concluded that Ally violated the ECOA by charging African-American, Hispanic, and Asian and Pacific Islander borrowers higher dealer markups for their auto loans than similarly-situated non-Hispanic white borrowers. The investigation found that these discriminatory pricing differences resulted from Ally giving dealers the ability and incentive to mark up interest rates. Ally’s discriminatory pricing and compensation structure injured more than 235,000 minority borrowers from April 2011 through December 2013. The investigation found that during this timeframe, Ally failed to implement an effective compliance program to monitor its loan portfolio for discrimination. · Pay $80 million in damages for consumer harm: Ally will pay $80 million to a settlement fund that will go to harmed African-American, Hispanic, and Asian and Pacific Islander borrowers whose auto loans were purchased by Ally between April 2011 and December 2013. · Pay to hire a settlement administrator to distribute funds to victims: A settlement administrator will contact consumers if necessary, distribute the funds, and ensure that borrowers who were affected receive compensation. The CFPB and DOJ will identify victims by looking at loan data. The Bureau will provide contact information for the settlement administrator once that person is chosen to address questions that consumers may have about potential payments. · Monitor dealer markups to prevent future discrimination or eliminate dealer markups altogether: Ally will implement a compliance program to prevent future discrimination. The program will include dealer education; prompt corrective action against dealers when there are dealer disparities; and portfolio-wide analysis of pricing data for disparities. Until Ally’s compliance program effectively eliminates disparities, Ally will pay harmed consumers each year under the order. In the alternative, Ally can move away from dealer markups to a non-discretionary dealer compensation structure, which would eliminate its obligation to monitor the fair lending risk of ongoing dealer markups. · Pay an $18 million penalty: Ally will pay an $18 million penalty to the CFPB’s Civil Penalty Fund. In March, the CFPB issued a bulletin explaining that it would hold indirect auto lenders accountable for unlawful discriminatory pricing. The bulletin also made recommendations for how indirect auto lenders could ensure that they were operating in compliance with fair lending laws. Today’s order demonstrates the type of fair lending risk identified in the CFPB’s bulletin. Today’s action is part of a larger joint effort between the CFPB and DOJ to address discrimination in the indirect auto lending market. On December 6, 2012, the CFPB and DOJsigned an agreement that has facilitated strong coordination between the two agencies on fair lending enforcement. Under this agreement and the ECOA, the CFPB will refer matters to DOJ when the CFPB has reason to believe there is a pattern or practice of lending discrimination. A referral to DOJ does not affect the CFPB’s authority to pursue its own enforcement action, as in this case. For auto loan questions or to submit a complaint, consumers can contact the CFPB at (855) 411-2372 or visit www.consumerfinance.gov.